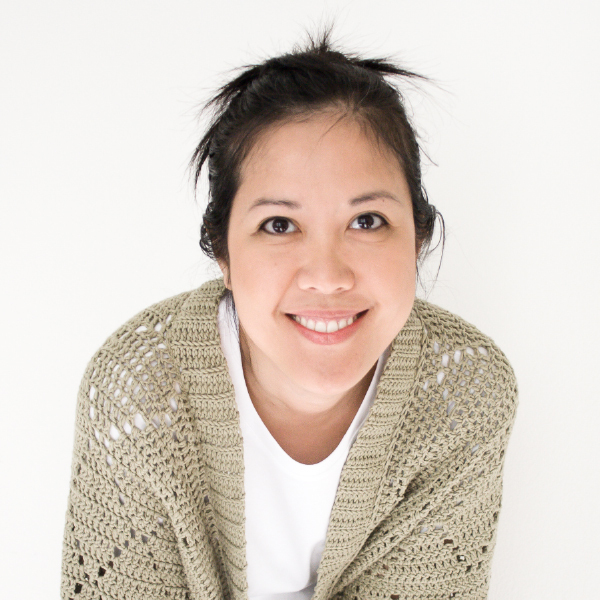 I know it seems like I’ve been talking crochet a lot these days, so I just want to explain a bit. 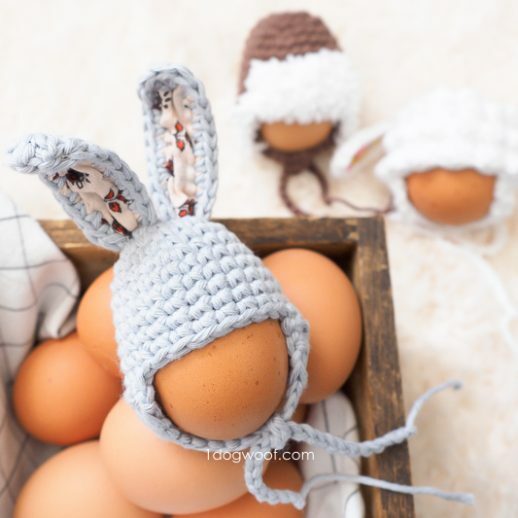 Not that crocheting needs explanation, I love it! But right now, my craft space is under renovation and has no floor, which means 99% of my supplies are in storage, and the only thing I could get to were my crochet hooks and a couple balls of yarn. So there it is. You’ll see my desk re-do once I’m done, and my new floors once they’re in too. If you can’t wait, imagine how I feel! 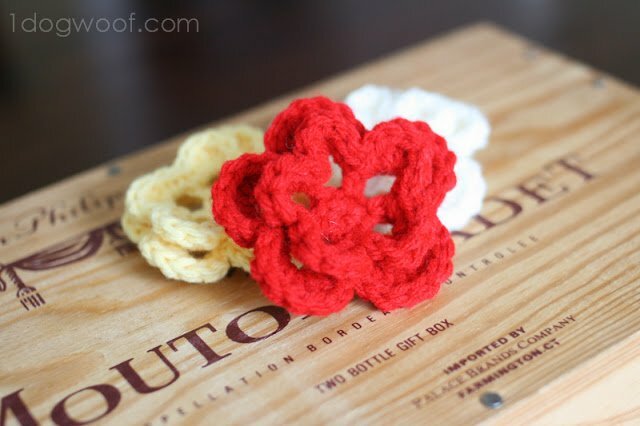 For now, here’s a little crochet flower for you to enjoy! When I was making hats for my craft fair, I discovered that I tended toward boyish or at the very least, gender neutral hat colors and designs. Maybe because I have a little boy at home and always despair at the lack of cute boy designs. I did make “girlie” hats, in hot pink, for example. But I’m not a (very) girlie girl, and you won’t ever catch me with a hot pink hat. I’m also terrible at making up my mind, so I like having options available for those last minute mood-dependent decisions. I decided to make (and sell) crocheted flower pins that can be pinned to a hat (or not), so you can mix and match flower and hat colors. I couldn’t find a flower pattern that I loved, so I made up my own. 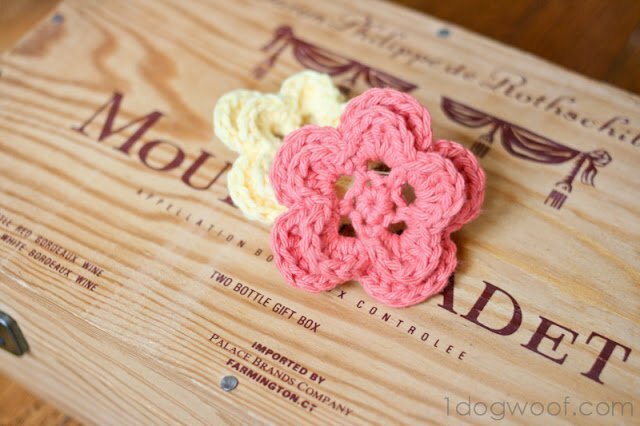 These little flowers are quick and easy to make, and can brighten up any outfit. Or group them together for some springtime cheer! Small amount of cotton or acrylic worsted weight yarn. 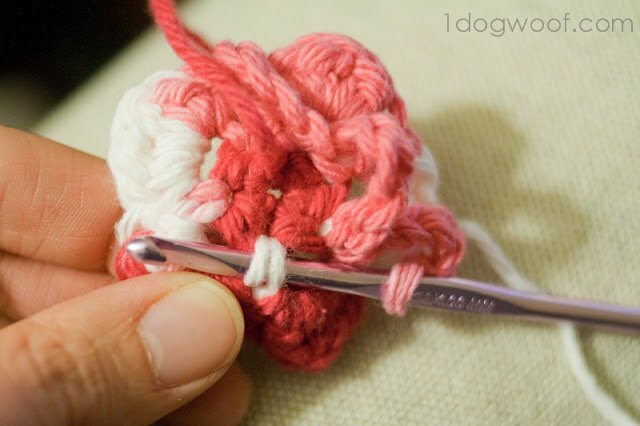 Magic Ring: Wrap yarn around 2 fingers as if to start with a chain, pull up a loop, but do not tighten. Yarn over, and secure a chain stitch on hook. Work Round 1 stitches into ring then pull tight. *Note: If you intend on attaching a pin or barrette to the flower, I recommend leaving a long tail before you start, and using the tail to secure the pin/barrette once the flower is complete. Round 1: Start with a magic ring. 5 sc in the ring. Join with sl st to first sc, pull tight. Round 2: *Ch 3, sl st in next sc*. Repeat from * 4 more times. The last sl st will be in the sc you started with. You should have 5 loops. Round 3: Work (sc, hdc, 3 dc, hdc, sc) in each ch-3 space. Round 4: * Ch 5, working behind the first set of petals, sl st in the back of the sc from Round 2*. Repeat from * 4 more times, with the last sl st at the beginning of the first ch-5. Round 5: Work (sc, hdc, 5 dc, hdc, sc) in ch-5 space. Join with a sl st in first sc of round. This picture is my attempt to show where to make the slip stitch after the 5 ch in Round 4. This is the back of the flower, with the white section being the back of the sc stitch from Round 2. I absolutely love these. 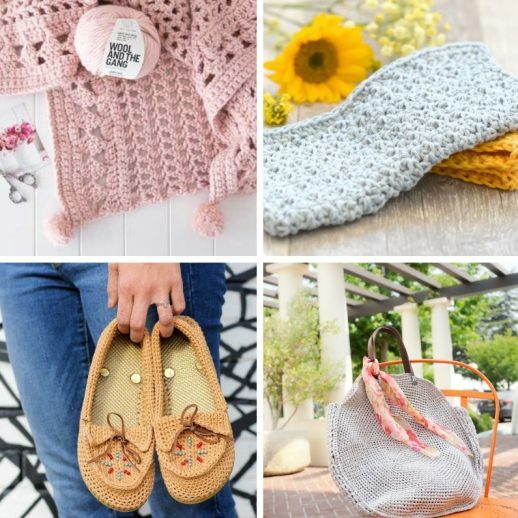 I’m looking forward to your crochet-along with all these fabulous yarn projects I keep seeing!! This is an AWESOME pattern! We are actually experimenting right now with knit and crochet flowers for a wedding bouquet…. and this is definitely going on the list of ones to try! How did the bridal bouquet turn out? I’m working on one now for my daughter. 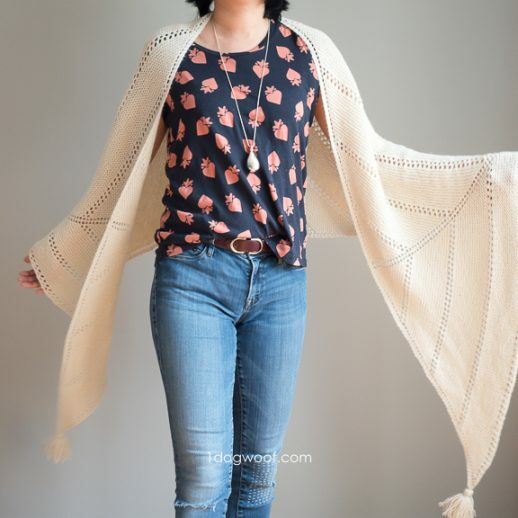 Those are really cute and I can think of a ton of uses for them…particularly on a plain scarf I have! this is a great pattern- thanks for posting it! 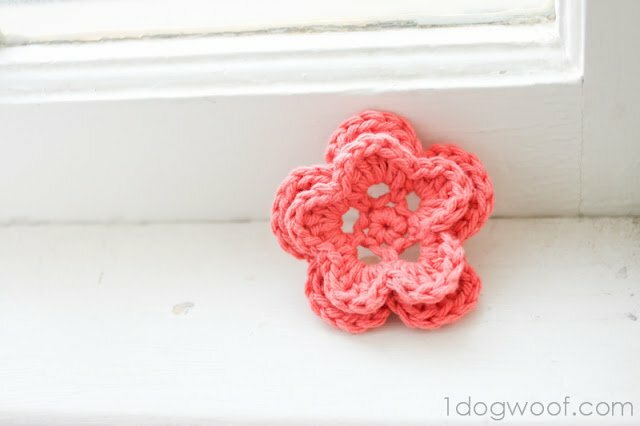 Definitely going to make a few of these for hair clips for my little girl, thanks for sharing the pattern! Thanks for the tutorial! I am excited to try these out. Very cute! I am stopping by from what it is Wendsday link up! I appreciate how much work went into that great piece. Very pretty. 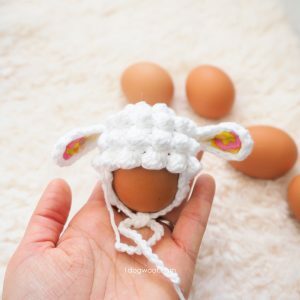 I make a bunch to put on baby hats that I knit. Thank you for the tutorial. This was my first time making a crochet flower and I love it. Your tutorial was easy and it made me more confident to try even more. Thank you! I really really like this flower!!! It’s not too chunky and it is just plain simple and pretty! Thank you! 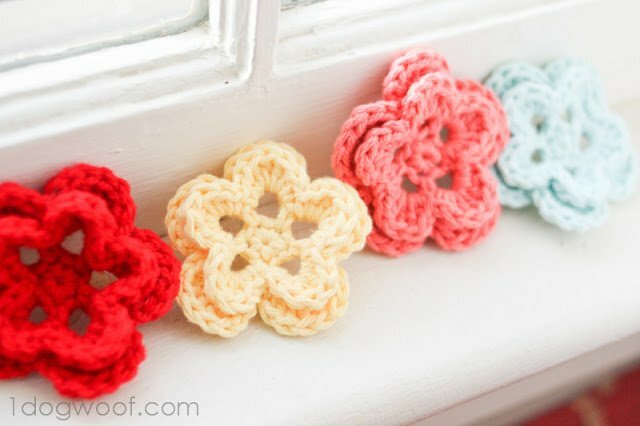 Im just starting to crochet and find this pretty and easy. Thanks for sharing. Perfect! Exactly what I’m looking for to make and adorn my daughter’s “boyish” hat. Thank you!! These would be pretty in variegated yarn! They would! If you try them, let me know on my Facebook page – I’d love to see your results! 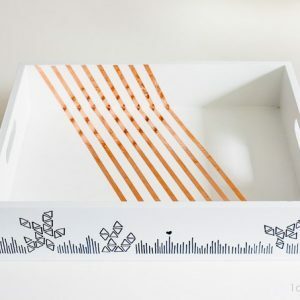 I can not print this pattern..could you email it to me? Do you mean you couldn’t print it from the browser? I do not have a PDF copy of the pattern to give away – it’s just available on the website. can get Rich Coal from the NPC Provisioner in the 21st Hall, outside the crafting bunker. traveling jewelry salesmen who are trying to sell their jewelry. Many thanks for this – I needed something to set off the blanket I am making for my new grandchild and these are perfect. Thanks very much for the pattern I made it in white Bernat Satin. The flower is very pretty. Easy pattern to follow. I am very grateful. I left a long tail and wrapped it around a hair barette or pin, but you can also just glue it in place. Thanks! These are so adorable! Made a couple for my nieces’ hats 🙂 Thank you so much!! Yes! Finally something about Valentines Idea. Thanks so much for this pattern. It’s one I used while crocheting flowers for my spring wreath. I shared it on my blog and linked to your pattern.